Those that have been following along on our blogging journey know that Monica and I live in different cities…hence Two Different Views!😉 I grew up in Pittsburgh, PA and have lived here all of my life, so naturally after having my daughter, Kennedy, I started doing some of the fun things around the city with her, that my parents did with me. We live a lot closer to downtown now than I did growing up, so we definitely take advantage of all it has to offer. Whether you live in Pittsburgh or are visiting with your family, I rounded up a list of our favorite things to do to keep the little ones entertained! The Carnegie museums and Science Center are great places for kids to learn, explore and let’s be honest, hopefully get out all of their energy and go to bed early!! Ken loves the dinosaur exhibit at the Natural History Museum, and she’s even shown a little more interest in the art exhibits at the museums recently. The Carnegie Science Center is another one of her favorite places to go, especially the SportsWorks side! They also have great members and non-member events throughout the year, like sleepovers and fun holiday events! The Carnegie Museums and Science Center offer a yearly family membership option, and in my experience, it’s worth the price! You could go to the Science Center twice with your entire family and end up paying more for admission than the membership would cost. With the membership, you have access to Carnegie Museums of Art and Natural History, Carnegie Science Center, and The Andy Warhol Museum. Find out more about the membership here! Ken loves sports, so we try to take her to Steelers, Penguins and Pirates games whenever we can! Most areas and sections of each stadium are very family friendly. All of the teams do a great job at making sure the younger kids have fun, with kid-themed days, contests, and the occasional lap around the bases! We’ve taken Ken to Seven Springs Mountain Resort a few times within the last year, and I couldn’t be more glad that we did! 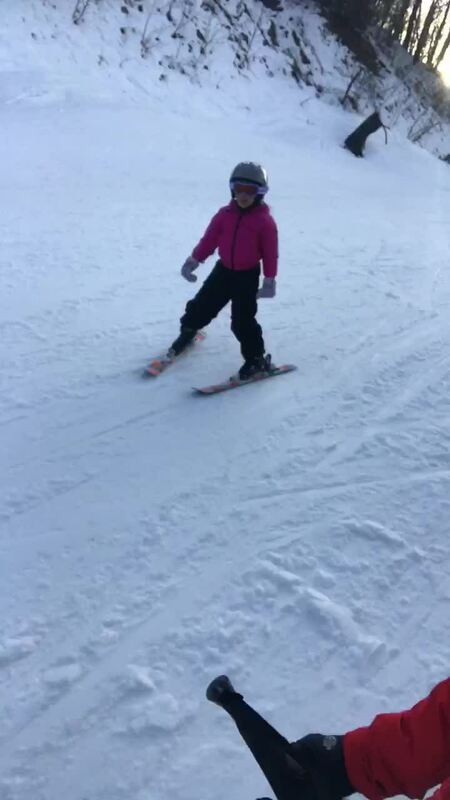 We put her in the Tiny Tots’ ski lessons, because she had never skied before. Not only did we have the entire day (9am-3pm) to ski with the adults, but they taught her how to ski better than I could have in a few short hours. After her lessons, she came skiing with us, and I’m still blown away every time I watch this video! Find out more about the Tiny Tots’ lessons here. Ken loves going to see plays, musicals and ballets! My mom took her to see her first ballet, Alice in Wonderland, when she was 5, and since then she’s been hooked. The Pittsburgh Cultural Trust puts on great shows for kids throughout the year, and below are a few shows that are coming up. Ken has the Andrea Beaty book “Ada Twist, Scientist” and this Rosie Revere, Engineer musical is based on another one of her books that focuses on the STEM curriculum. A musical that’s educational?? That’s a win-win! This is showing March 31, 2019 – April 7, 2019, and you can purchase tickets here. My girlfriends and I saw Disney’s Newsies in Pittsburgh in 2017 as a mini bridal shower weekend for Moni! Did we care that we were 30-year-olds sitting next to a bunch of 10-year-olds watching a Disney Broadway show?? Absolutely not!! But this would be an amazing show to take your little ones to! It will be in Pittsburgh May 2, 2019 – May 12, 2019, and you can purchase tickets here. I hope you guys can use this post to enjoy all that Pittsburgh has to offer!